Here on Bargainmoose, we’re not always JUST about the deals and coupons. Sometimes, we also like to throw ideas at you for fun and frugal DIY projects, especially now coming up to Christmas. 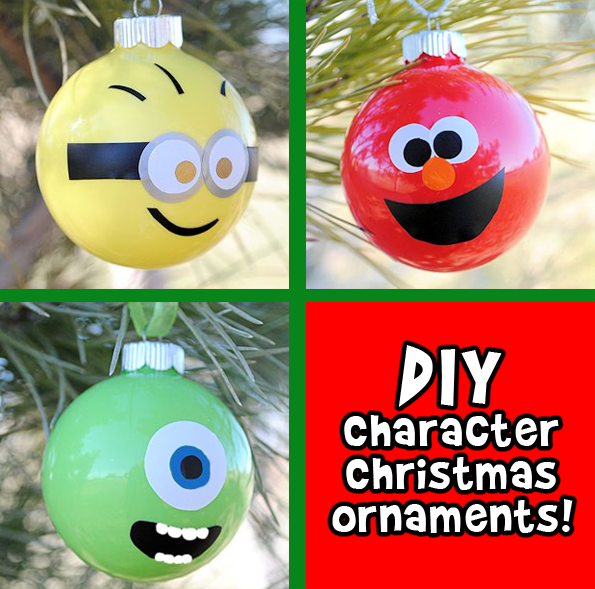 That’s just what I am going to do right now with a fun idea for Christmas ornaments – make your own character baubles! There’s a full tutorial here on Crazylittleprojects with some more details on exactly what you can do to make these fantastic Christmas ornaments. They’re pictured above and they look amazing. All you need is some craft supplies and some empty baubles, such as these on Amazon.ca. Are you going to give this DIY a try? And do you have any more ideas of characters you could do?